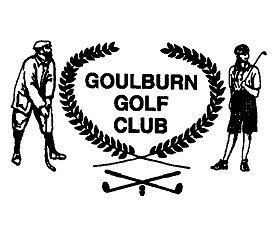 The Goulburn Club is a small historic registered club with open fires, live music and comfortable lounges. It is a place to relax, listen to music and meet friends and new people over a few drinks. The club has a great selection of wines and beers and a spacious verandah overlooking Belmore Park. Check out what music is featured this week on the Goulburn Club website. 3 high quality bowling greens for the use of visitors, Keno & TAB facilities and has live entertainment every Friday & Saturday night. The Bowlo is an ideal venue to hold your next function or party. Be it a corporate function or your wedding day, the Bowlo has all you need. The auditorium holds between 150 - 200 people and our smaller function room can hold up to 50 people for a more intimate environment. Located in the heart of the CBD, the Goulburn Soldiers Club has easy access to transport, accommodation, entertainment and shopping. The club is located opposite lovely Belmore Park, with all rooms on the park side offering scenic views of the park and surrounding area including the historic Court House. Enjoy a full range of Club TAB betting services, Keno and related pastimes and a big screen for televised events. The beautiful Club Lounge and auditorium are also available for conferences or seminars. Diggers by the Park and Puffin on the Park for all your catering needs. From the exceptional food at the Bistro to the many facilities offered to all members and their guests, the Workers is a place you can rely on for your function, conference or private party. Several different sized meeting rooms and an auditorium are available to choose from. In addition outdoor areas are available for all members to access as we make the Workers a fresher place in accord with the new Govt regulations. Goulburn has a long association with horse racing, with records indicating that racing commenced in 1838 when challenge races were held in the vicinity of the Gordon Hotel. The oldest Goulburn Cup Trophy dates back to 1883 and is currently displayed at the historic St Clair Museum. The Goulburn and District Racing Club Limited was founded in 1969 after a combined Club known as the Goulburn and District Racing and Trotting Club was disbanded. The Goulburn and District Racing Club facilities are among the most technologically advanced in Australia today and include a multi-purpose, heritage style function area with a country atmosphere and wood fire, fully licensed public and member's bars and modern catering facilities. A variety of marquees are available for sponsors and private functions in prime positions and strategically placed television monitors enable visitors to see all the action. Hidden in heart of Australia's first inland city, lies the stunning Goulburn Golf Course (established circa 1898). Over the last century, what started as a paddock has been shaped into the course that it is today. With stunning fairways and extensive facilities it caters for the enthusiasts and professionals alike. Laying claim to more than just natural beauty, challenging fairways and excellent facilities, Goulburn Golf Course has grown some of the greatest names in golf. Bruce Devlin, Steve Elkington and Brett Ogle all cut their teeth on their fairways. For those who enjoy the 19th hole as much as the green variety, Birdie's Bistro offers fine country fare and a breathtaking view across the fairways. Friendly business owners specialising in home brewing beer, wine and spirits. Feel free to come in and browse the wide range of supplies. They also deliver, just call and ask. Gift vouchers are available all year round. Any questions, call us or email us.